Youth artists from ArtsTech unveil a new mural at 39th and Prospect in Kansas City, Mo. The art was commissioned by the No Violence Alliance as part of their initiative to curb violent crime along Prospect. 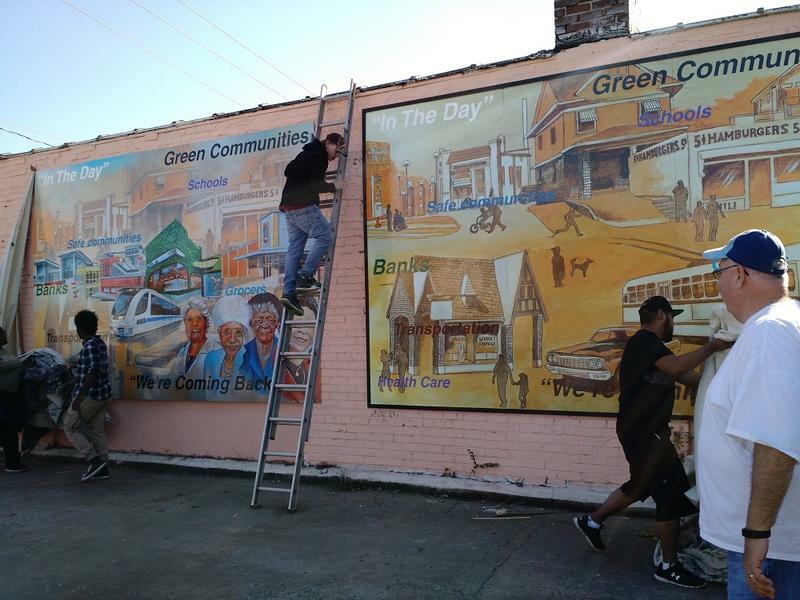 Kansas City No Violence Alliance partners and ArtsTech came together with neighborhood associations along Prospect Avenue Saturday to honor Ivanhoe neighborhood leaders with a mural. Youth artists with ArtsTech unveiled the mural, titled "Then and Now," at the corner of 39th and Prospect. The mural was collaboratively painted by more than 75 youth artists, photographed and then framed. One half depicts 39th and Prospect as it looked from the 1940s to 1960s, and the other shows what the area looks like and could feature in the near future. 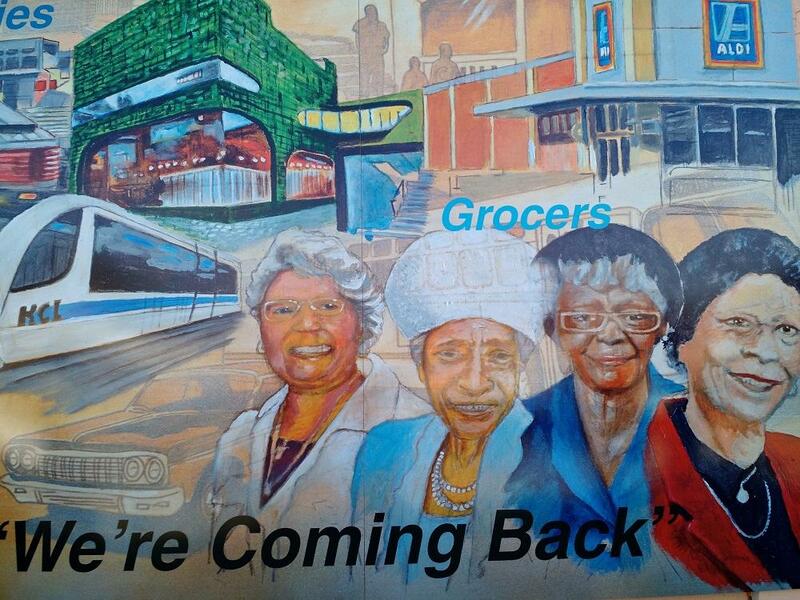 From left to right, Margaret May, Martha Tolbert, Ida Dockery and Florence Hayden, all integral members of the Ivanhoe neighborhood. Four portraits of community leaders from Ivanhoe are shown in the "Now" panel: Margaret May, Martha Tolbert, Ida Dockery and Florence Hayden. Artist Michael Toombs helped lead the project. He says putting art in the community helps change attitudes in the area, particularly with young residents. "When you have a lot of young people out there who may or may not have been given the kind of direction they need to go in a positive direction, it becomes difficult to stand up to them and say, 'You need to do something,'" Toombs said. "The art creates an environment that's safe, fun and accessible for everyone." Ryan Samuelson with NoVa says that simply hanging art shows that community members care about their neighborhoods and don't want violence to stay routine. "With a community that sees violence, art can be a symbol that says, 'Yes, we are here, there are people that care,'" Samuelson said. "We've been hosting cleanups and engaging citizens who might need help, and this just serves as reminder that there's renewed and continued efforts in the area." Margaret May, Ida Dockery and Florence Hayden all attended the unveiling. May says her fellow honorees were integral to turning the Ivanhoe neighborhood around in the 1990s, when drug houses and crime were rampant. "Every day they would be out with their bags [collecting trash] on the streets," May said. "A very small number of people came to join with them. They paid a big price for the neighborhood to be how it is now." ArtsTech, the No Violence Alliance, Kansas City Local Initiatives Support Corp., and neighborhood associations along Prospect from 25th to 39th streets also helped put murals on vacant houses throughout the area over the weekend. They plan on putting up seven door-sized paintings in each of the neighborhoods along the corridor. 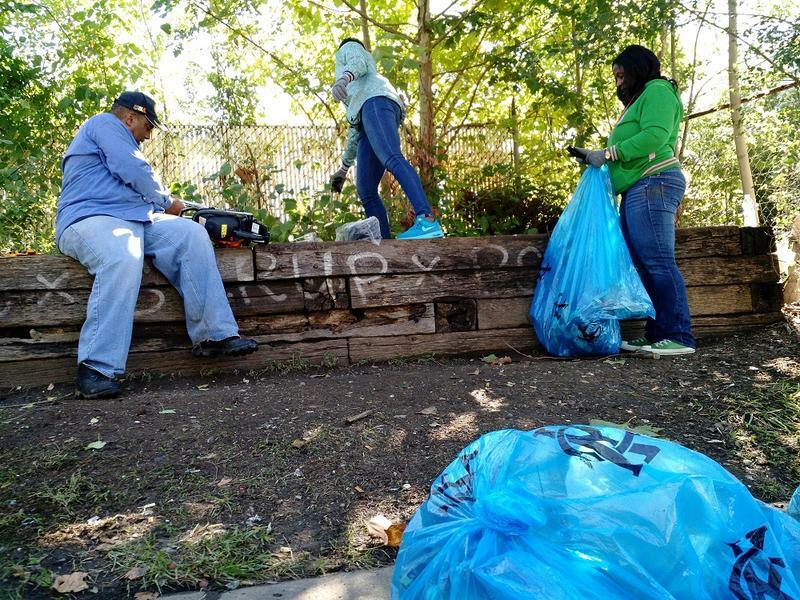 More than 100 members of the community, Kansas City police and neighborhood groups helped to clear brush and trash around 35th Street and Prospect Avenue Saturday. The cleanup event was organized by the Kansas City No Violence Alliance in conjunction with the Ivanhoe Neighborhood Council, Kansas City Police Department and numerous Prospect residents. The Alliance has focused on deterring violent crime along Prospect since April. Murals are more than just decorative outdoor projects. Two local muralists and the co-director of Called to Walls, a new documentary about community-based art in the Midwest (screening tonight at KU) discuss the process of creating a piece of public art that can reflect the past, present and aspirational future of a community. Few neighborhoods in Kansas City. Mo., have faced as many problems as the Ivanhoe neighborhood in the city's urban core. Crime, drug houses, frequent vacancy, and trash buildup have plagued the area for decades, but neighborhood residents have been working towards change. 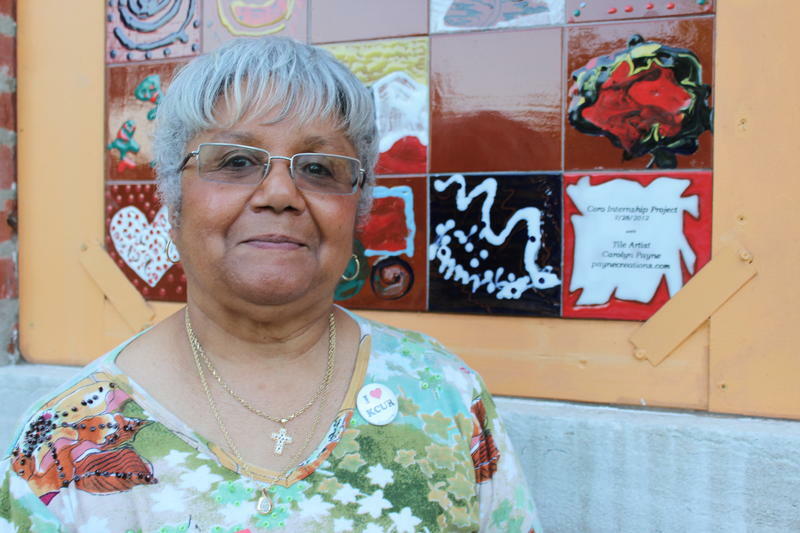 Ivanhoe Neighborhood Council Executive Director Margaret May has worked in the neighborhood since 2001, and has seen it blossom as residents like Ida Dockery take ownership and responsibility for cleaning it up.